One never knows what unexpected discoveries await when a history lover on a research trip takes a road that veers away from the main highway. I almost let the opportunity slip away but my inner history geek followed my senses. What a delightful find! An ancient marker—crude but effective—pointing the way for postal riders. Imagine how welcoming those words etched in granite were to weary horsemen carrying missives to awaiting recipients. This unexpected find encouraged me to investigate our mail system here in America that so many take for granted. I was surprised to learn the history of our postal service in America is older than the country itself. The Pilgrims had only been in America for 13 years when the first official mail deliveries were begun. The General Court of Massachusetts designated Richard Fairbanks’ tavern in Boston as the exchange point for mail between the colonies and England. This was in keeping with the British tradition of using coffee houses and taverns as the mail drops. By 1673, a trail for a post rider was set up between New York and Boston. That trail, called the Old Boston Post Road, is today part of US Route 1. Pennsylvania was next in setting up a post office ten years later. Then colonies in the south set up their own message system between plantations, with messages sometimes carried by slaves. A centralized postal system for all the colonies was not set up until 1691. The delivery system expanded and spread under the guidance of numerous Postmasters General, who were still under British rule. In 1737, 31-year-old Benjamin Franklin was named Postmaster of Philadelphia. The struggling publisher of the Pennsylvania Gazette made numerous improvements in the mail system, including cutting the delivery time between Philadelphia and New York in half by running mail wagons both day and night. He also devised the still-used rate chart based on distance and weight of the parcel—in principle, still used today, although I think the rates have climbed somewhat since the 1700’s. As we all know, Mr. Franklin—who by now was called the Joint Postmaster General for the Crown—began to be involved in the cause for liberty from England, which did not sit well with his British employers. He was fired in 1774. 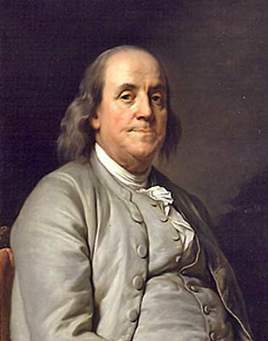 He was not unemployed for too long, as the Continental Congress appointed Franklin to the position of Postmaster General of the United Colonies on July 26, 1775. By the time Franklin was sent on his diplomatic assignment to France in 1776, he left behind a greatly improved colonial mail system with routes from Maine to Florida. In 1790, there were 75 post offices in America. By 2018, that number grew to 34,772 retail offices with over 146.4 billion pieces of mail handled in that same year. Total delivery routes in 2018 had expanded to 231,843. Mr. Franklin would be proud. Very interesting! I didn't know the postal service was older than the country. Thanks for enlightening us! Connie, I was surprised myself to learn that! This was quite interesting, Elaine. I learned some things. Me too, Melissa! I remember a few years ago it was predicted the mail service was no longer necessary because of the internet. How wrong those predictors were! This was an informative and interesting post about America postal delivery. I enjoy seeing the mail carrier deliverying mail via his vehicle but our town still have mail carriers who walk their routes. I still prefer sending snail mail and receiving a letter/card in the mail instead via social media. Thank you for sharing, Elaine.